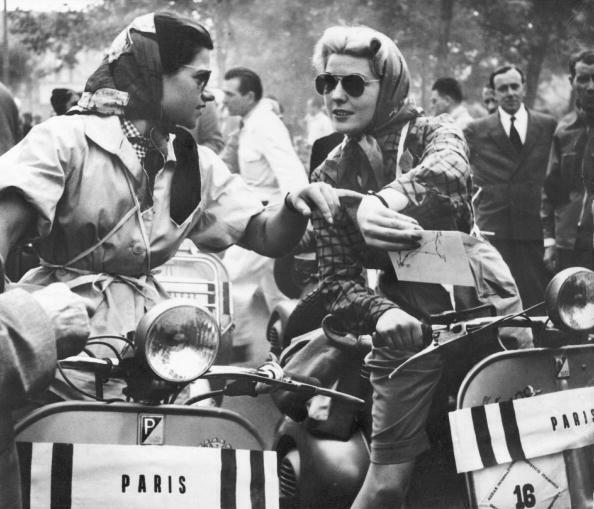 Tomboy Style: SCENE | The Starting Line, Milan 1952. SCENE | The Starting Line, Milan 1952. Photo of the Paris team (above) and the Dauphiné team (below) on the starting line for a women's scooter race in Milan, Italy, held on June 9, 1952. The circuit covered a distance of 260km (161 miles) and included 117 competitors from Belgium, Italy, France and Switzerland. This was its first ever women's-only event. I couldn't find if the race continued or for how long, but what a great intersection of style and sport. Damn, now that's just cool! 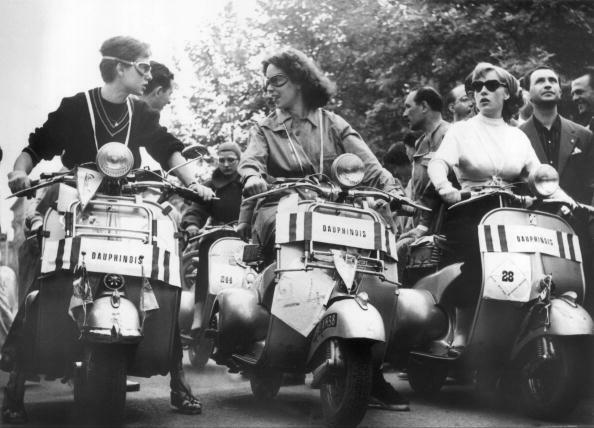 Ah makes me want to scoot around. Great find. Thanks for sharing. Check out WWII wrens. Similar and awesome.